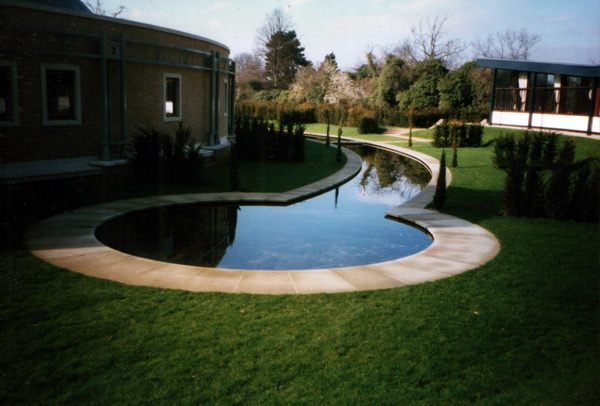 Such is the nature of professional Gardening and Garden Construction works in particular, there is often a wide gulf between the expectations of a client and the actual work produced. More often than not, this discrepancy arises from the lack of comprehensive documentation or detailed contract paperwork, and minor disputes can escalate into full Court cases costing thousands of pounds. This is the background of the majority of cases which require the services of a Third Party or Expert Witness. In many cases, the problem may not be resolved by the party’s involved, and they agree to call in an independent specialist consultant. In such cases, both parties agree to abide by the decisions and report of their mutually accepted expert, and the matter resolved without further ado. The Expert Witness will agree terms of engagement, and the Court will accept the findings of the appointed Expert. Alan has been carrying out Court Work as an independent Expert Witness for over twenty years. In the world of Landscaping and Garden Construction, there are relatively few professional experts willing to handle disputes, and the majority of referrals come from solicitors or via other Experts who are not willing to undertake Court work. Alan’s expertise is in the field of construction and contracts, and in common with other experts, he has a range of Specialists with whom to consult regarding more complex issues. For example, in the event of a dispute arising over soil quality, or suitability of particular hard landscape product, and a scientific report was required by the Court, this would be arranged and included as part of the Expert Witness project documentation and presented by Alan in his expert’s report without involving the additional costs of requiring the specialist company to attend Court. He is able to provide reports for use by home owners, contractors, solicitors or by any other body. He remains 100% completely independent and unbiased, stating only the facts as seen as the time. This impartiality is important, as the reports become Extant in nature, meaning that the document becomes an accurate ‘Snap-shot’ of a site at the time of compilation. Reports may take several forms, from Statement of Opinion, Civil Procedure Rules (CPR) Part 35, Pre-Action Reports under the direction of a Court, or simply a report to record a current situation for future reference. A firm believer in arbitration, not legislation, if the case is dealt with in the early stages before entering the Court system, matters may be resolved quickly, simply and without undue expense. Alan’s background and established, detailed knowledge of the Landscaping industry is well known, and disputes usually settled without acrimony once an initial report is produced and presented. A standard DAY RATE of £500.00 per day or £300.00 per half day (no VAT) will apply. There are no disbursements or expenses, including mileage charges. There is no charge for the initial consultation, which will normally take place via email or letter. An assessment of likely cost may be made at that time, bearing in mind the potential complexity of the case or distance involved. COSTS may be payable by a single person in the event of a Sole Instruction, or on an equal basis, with both Parties being issued with a Pro Forma invoice. Once the invoice/s has been paid in full, a date is set for the next stage of the process. REPORTS AND STATEMENTS OF OPINION may be Sole Instruction, Joint Instruction or (if the Court permits) DISTANCE REPORTS, which allow the Consultant to produce a report/statement using documentation and photographs if both Parties agree, to keep costs down.